A reconnaissance aircraft is a military surveillance aircraft designed or adapted to perform aerial reconnaissance with roles including collection of imagery intelligence (including using photography), signals intelligence, as well as measurement and signature intelligence. Modern technology has also enabled some aircraft and UAVs to carry out real-time surveillance in addition to general intelligence gathering. In years prior to the development and common use of sophisticated electronic image recording devices and sensors such as radar, reconnaissance aircraft were also relied upon by military forces for distant visual observation and scouting of enemy movement. An example is the PBY Catalina maritime patrol flying boat used by the Allies in World War II: a flight of U.S. Navy Catalinas spotted part of the Japanese fleet approaching Midway Island, beginning the Battle of Midway. Prior to the 20th century machines for powered and controllable flight were not available to military forces, but some attempts were made to use lighter than air craft. 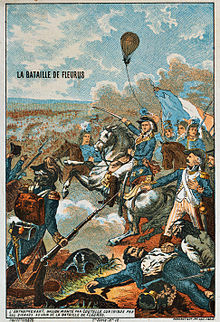 During the Napoleonic Wars and Franco-Prussian War, balloons were used for aerial reconnaissance by the French. In World War I, aircraft were deployed during early phases of battle in reconnaissance roles as 'eyes of the army' to aid ground forces. Aerial reconnaissance from this time through 1945 was mostly carried out by adapted versions of standard fighters and bombers equipped with film cameras. Photography became the primary and best-known method of intelligence collection for reconnaissance aircraft by the end of World War II. After World War II and during the Cold War the United States developed several dedicated reconnaissance aircraft designs, including the U-2 and SR-71, to monitor the nuclear threat from the Soviet Union. 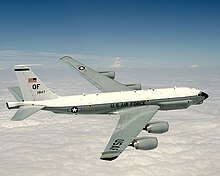 Other types of reconnaissance aircraft were built for specialized roles in signals intelligence and electronic monitoring, such as the RB-47, Boeing RC-135 and the Ryan Model 147 drones. Since the Cold War much of the strategic reconnaissance aircraft role has passed over to satellites, and the tactical role to unmanned aerial vehicles (UAVs). This has been proven in successful uses by Israel, and by the United States in Desert Storm operations. ^ . "Scouting and Early Attacks from Midway, 3–4 June 1942". Archived April 13, 2010, at the Library of Congress Web Archives United States Naval Historical Center, 1999. Retrieved: 18 June 2010. ^ a b "Air Power:Aerial Reconnaissance in World War I". centennialofflight.net. Archived from the original on 18 March 2018. Retrieved 16 March 2018. ^ "During World War II, "F-Planes" Weren't Fighters - Defense Media Network". defensemedianetwork.com. Archived from the original on 17 March 2018. Retrieved 16 March 2018. ^ "Air Power:Aerospace Power and the Cold War". 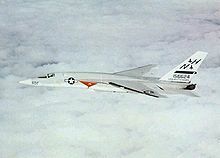 www.centennialofflight.net. Archived from the original on 10 October 2017. Retrieved 16 March 2018. ^ "Satelite.Com Spy Satellites". satelite.com. Archived from the original on 17 March 2018. Retrieved 16 March 2018.